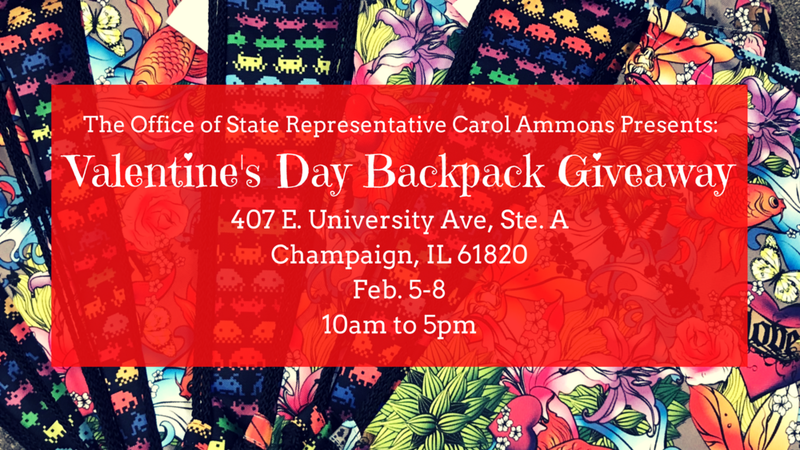 State Representative Carol Ammons would like to celebrate Valentine's Day with your child by giving them a backpack along with school supplies important for every child’s academic performance. Please stop by the District Office, located at 407 E University Ave., from Feb. 5th through 8th to pick up a backpack. The office is opened from 10am to 5pm. One backpack with various school supplies per child. Child must be present to receive the back pack. Giveaway ends when all backpacks are handed out. My office will be giving away backpacks with school supplies important for every child’s academic performance during our Valentine’s Day Backpack Giveaway.